Last year, The CW did something unprecedented when it successfully interwove four prime time shows into a seamless crossover event. 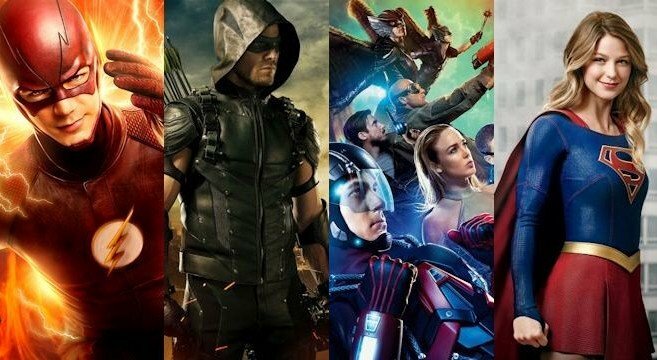 Consisting of Supergirl, The Flash, Arrow and Legends of Tomorrow, it saw some of our favorite superheroes unite against the threat posed by the invading Dominators. Not surprisingly, the network wants to replicate that same magic this fall. Admittedly, I’m all for another crossover, but I think the producers’ ideas were bigger than the budget would allow, so I’m hoping we get something more akin to Vandal Savage (the antagonist in 2015’s event) as opposed to another alien invasion. And after hearing how this year’s attempt will increase the emotional stakes, I was expecting just that. Something else interesting that Amell was quick to note is how this year’s crossover will be structured. This time, we have The Flash and Legends on the same night, with Arrow now serving as the conclusion.